Residential House Cleaning Services in North Shore Suburbs and North West Suburbs of Chicago, IL. Dial-A-Maid is a professional full-service Residential House and Office Cleaning Service that has served the North and Northwest suburbs of Chicago,Il area for over 44 years. 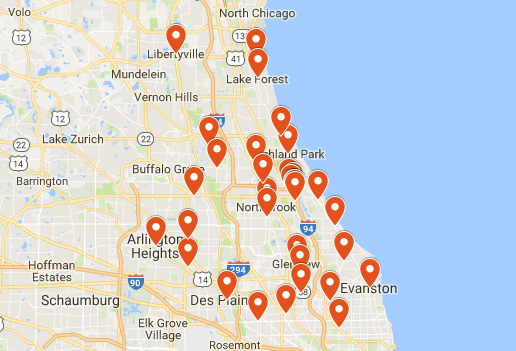 Dial-A-Maid specializes in providing Chicago's suburban residents and businesses with professional cleaning services at affordable prices. 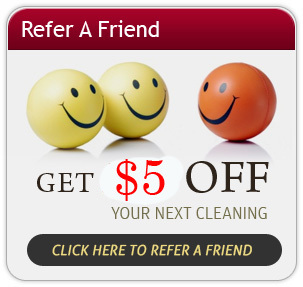 To get your free estimate or to schedule a cleaning, contact us today! 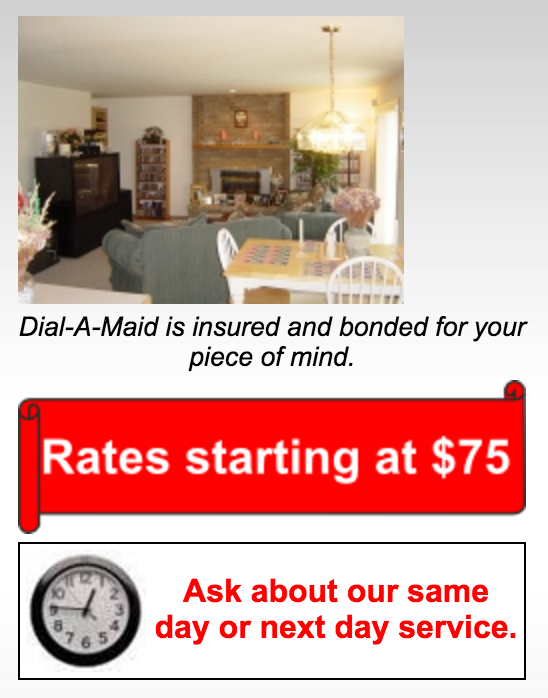 Welcome to the Original Dial-A-Maid, Chicagoland's most trusted house and office cleaning service for over 44 years. We initiated the concept of 2-3 people team cleaning, realizing that a team is much more efficient and effective in their cleaning results than a one person cleaner. Our goal at Dial-A-Maid has been to alleviate household cleaning chores from our clients and allow our clients the time needed to meet their own personal demands of family and work. Our house cleaners treat our client's homes as their own. We make every area sparkle and do the job right, each and every time we clean. Dial-A-Maid believes that good customer relationship is the foundation of good business. and we're fully committed to providing all our customers the quality house cleaning services they deserve. Since 1970, Dial-A-Maid has made it our mission to offer healthy cleaning to our discerning clientele. It's Us or Dust" has been our motto for almost half a century. From the beginning, Dial-A-Maid has been and continues to be a family owned and run premier residential and commercial cleaning service.